Many agencies have spoken out in dismay at the announcement by government that letting agency fees on tenants would be banned in England in the near future. 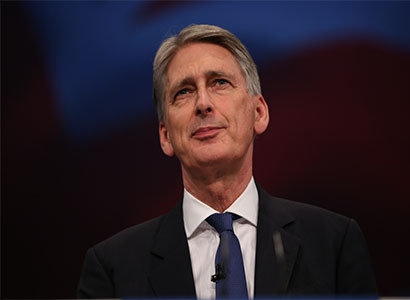 Chancellor Phillip Hammond, in his Autumn Statement yesterday, said the ban would apply to England and be introduced “as soon as possible”. It is thought this may be after a consultation period with the industry and other interested parties, starting in the New Year; primary legislation will also be required, which may take some weeks after the consultation has been completed. Stephen Ludlow, chairman of London-based agency Ludlowthompson, says there is a danger that some letting agencies will cut back on investment in marketing, training and quality control, therefore diminishing customer service delivery. "Without reputable letting agents fully committed to the sector we will potentially see more lettings back in the hands of unregulated private landlords, and leaving tenants with far lower levels of protection than at present” he says. "The last 30 years has seen service standards in the private lettings market increase quite significantly. Cut off the income of this sector and it risks creating a race to the bottom in levels of standards” Ludlow warns. “It is essential that agents do not cut corners and fail to carry out stringent referencing checks” warns Lucy Morton, the former ARLA president who is now head of agency at JLL. Hunters - which in September and October commissioned a survey on fees - says it resulted with 75 per cent of tenants stating they did not want rents to increase to cover the cost of banning lettings fees. “Agents perform both a service and a paralegal role when assisting tenants to move home. Unfortunately, it is very likely rents will increase in response to these changes” says Hunters’ managing director, Glynis Frew. Nick Leeming, chairman at Jackson-Stops & Staff, reflects the views of many in the industry when he says this “short sighted” measure means costs will simply be passed on to tenants through higher rent by landlords. “A better solution would have been to create a more competitive fee environment and ensuring that landlords are not further discouraged from the market” he adds. And 60-strong London agency chain Dexters says it is in favour of the ban. “Whilst we await the exact detail of the legislation we broadly welcome the government's action on this. We would prefer to see compulsory regulation of letting agents but this is a step in the right direction, as it will lead to more transparency and make life difficult for rogue estate agents” explains chief executive Jeff Doble. easyProperty chief executive Rob Ellice also says he welcomes the Chancellor's decision. “Any sensible agency won't pass on the charges to landlords, due to competition in the sector, so we don't foresee rent rises as there is no need to add the fees to rents. Having the Government step in to abolish these fees is another example that the industry cannot self-regulate and be fair to consumers. The greed of a few has cost the many as it’s a minority who have charged excessive fees rather than the majority of agents” says Ellice.